The challenge of the Lake Tahoe: A Fragile Beauty photography book project, was to utilize the photographic vocabulary to capture not only Lake Tahoe’s breathtaking grandeur, but also the ecological issues facing the basin and the historical context from which they arise. We wanted a book that would build upon earlier works of photography on Tahoe and remain relevant for years to come. 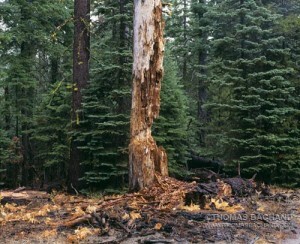 Lake Tahoe is revealed through images of both the majestic landscape and our interactions with the natural world. With an introduction by preeminent Tahoe research scientist Dr. Charles Goldman, poetry by former US Poet Laureate and 2008 Pulitzer Prize winner Robert Hass, and historical content by literary icon Mark Twain and 19th Century photographer Carleton Watkins, this important work not only expresses the beauty of Lake Tahoe but examines it as a microcosm of the environmental challenges confronting our time. Supporters include the Tahoe Environmental Research Center, the Oakland Museum, the Phoebe Hearst Museum, Adobe, and Hasselblad. Since publication, I have found that this multifaceted approach is bridging disparate audiences and broadening the conversation – in terms of both the environment and photography. Thanks to Douglas Taylor of the Vista Gallery and Deborah Lane of the Bookshelf for hosting a wonderful gallery reception and book signing. Making a surprise appearance were two college friends I haven’t seen in over 25 years! Both the Vista Gallery and Bookshelf make important contributions to the Tahoe community. 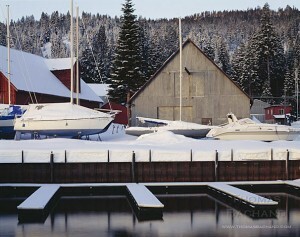 The Vista Gallery has the most comprehensive photography collection in the Lake Tahoe Basin. The Bookshelf is Lake Tahoe’s most prominent bookseller with locations in Tahoe City and Truckee. I encourage everyone to drop by their wonderful establishments and keep abreast of their many interesting events. If you were unable to attend, signed copies of Lake Tahoe: A Fragile Beauty are on hand at the below locations. Northern California. San Francisco Bay to Lake Tahoe. 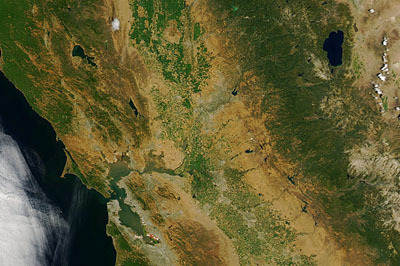 True color MODIS-Aqua image, acquired July 3, 2007, 2:40 pm PDT. Today, our travels to Lake Tahoe are not as carefree or adventurous as they once were. Bay Area suburbia stretches to Fairfield with few breaks in the urban landscape. Vacaville, Dixon, and Davis have all grown up to be commuter communities strategically situated between the Bay Area and Sacramento. Sacramento’s outlying bedroom communities with their big-box stores and mega-churches stretch well into the Sierra foothills. Auburn, Grass Valley, and Nevada City are slowly coming together. Truckee has taken advantage of Tahoe’s development restrictions and has become a destination unto itself. (Northstar is officially part of Truckee. Who knew?) Congestion in the Bay Area, Napa, Sacramento, and Stockton, require those driving to and from the Sierra to implore deft scheduling. With the 24-hour news cycle, the Internet, cell phones, SUVs, and DVD players, the trip has become safer, yet also more insular. As we carry more of our world with us, we become less discerning of the new environs we find ourselves. In 1844, John C. Fremont took a little over two weeks to travel from Carson Pass to Sutter’s Fort in Sacramento. Today it’s a two-hour drive. Time travel has arrived; distance is relative. How much do we miss the in-between? Is it so hard to imagine that air pollution from the San Francisco Bay Area and Sacramento area is adversely affecting the water quality of remote Sierra lakes? Image courtesy of Todd Steissberg, PhD. Civil and Environmental Engineering. University of California, Davis. Thanks to all who came out on a beautiful Saturday afternoon to hear me speak about my book Lake Tahoe: A Fragile Beauty at Rakestraw Books in Danville. One attendee was in the area two hours before the event began and chose to wait next door at Peet’s until the appointed hour! It is gratifying to see this work appreciated and I am flattered that people take such time to support and follow it. If you missed the event, Rakestraw has signed copies of the book on hand. Special acknowledgment to Michael Barnard at Rakestraw for hosting the event. Making an independent bookstore work is no easy task these days. Mike has a great store and puts together a continuing series of interesting speakers. He is an important member of the Danville community. I encourage everyone to drop by and, if you’re further afield, check out his web site and newsletter. Yet, the Internet and the big retailers are doing more than changing the way we purchase books. Reading a 400 page book is quite different than trolling for information on the Internet. Information begets knowledge and knowledge begets wisdom. Hopefully we’re not moving in the opposite direction. More on this phenomenon can be found in the July issue of the Atlantic in Is Google Making Us Stoopid?. When you support your local bookstore you support good local jobs, community, intellectual vigor, and ideas. Obexer Marina. Lake Tahoe. 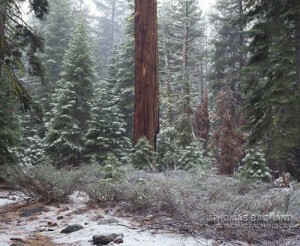 Homewood, California. As a kid, the drive to Tahoe from the Bay Area quickly left the city and found rural California. Concord was the edge of the Bay Area. Vacaville was an outpost. Then came the agriculture in California’s Central Valley. Beyond Sacramento, Hwy 80 quickly found the foothills and isolated Auburn, then the forest, and, finally, the bald granite atop the Sierra where one felt a sense of crossing a frontier. Making that right turn at Fanny Bridge in Tahoe City brought a sense of serenity. This quiet mountain road through pine, fir and small communities would take its time finding the shore where we would rediscover Lake Tahoe all over again. When I first began working on my new book of landscape photography, “Lake Tahoe: A Fragile Beauty,” I had been visiting Lake Tahoe for decades and was familiar with its history and challenges. Tahoe presents a rich story. As a microcosm of many of the environmental challenges confronting our time, Lake Tahoe speaks, on many levels, to our culture’s attitude toward the land. In recent decades, Tahoe’s immense popularity, along with the tremendous growth in northern California and western Nevada, has threatened the very vitality of the lake’s ecosystem. The greening of the Lake’s legendary clear waters has become a siren song to those romanced by Tahoe’s charms. Worldwide, communities and individuals, some as far away as Siberia, have come together to both understand and save this smothered jewel. In many respects, Tahoe is a case study in America’s challenge to manage consumption pressures while sustaining the environment. As a landscape photographer, the relevancy of this project was very appealing. The challenge became how best to tell the story.